Take your photography, time-lapse and filmmaking projects to the next level with professional grade affordable 3-axis motion control starting at $350! 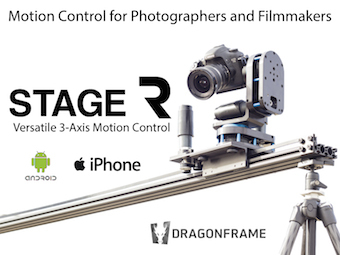 SnapnDeals presents Stage R Versatile Motion Control for Timelapse and Film. Pledge on kickstarter.com $100 or more and you will receive a FREE copy of “Time-Lapse Photography – A Complete Introduction” by Ryan Chylinski (a $25 value). This eBook will be added to your chosen rewards at campaign close automatically – just use Coupon Code “snapndeals” in the backer comments. Each Stage R unit is capable of full 360 degree pan or tilt movement and its flexible modular design allows for hundreds of different motion combinations (100’s, we’re serious!). Connect two units together for full pan and tilt or connect one or two units to a dolly slider for ultra-dynamic 3-axis movement (slide + pan and/or tilt). Nail any shot from live action to time-lapse covering days with stunning camera motion! Multiple motor options: Opposing Quick-Snap motor mounts allow simple motor attachment on both sides of the rotary unit. The universal swappable mount means DC motors or stepper motors can easily be used to drive the system! Fully compatible with arca-swiss style clamps, L-brackets and accessories (included in rewards over $400) for maximum flexibility. From run and gun to complex motion control Stage R can handle it all. 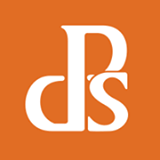 All of us at Dynamic Perception are simply amazed-to-no-end by the incredible stories you tell through time-lapse and film. We know that when your creativity is unleashed minds get freakin’ blown… and we don’t want anything to hold you back. Your support is what makes all this possible. We’ve designed a series of rewards in 2 levels. Dynamic Perception has been producing Motion Control equipment for photographers and filmmakers since 2009. 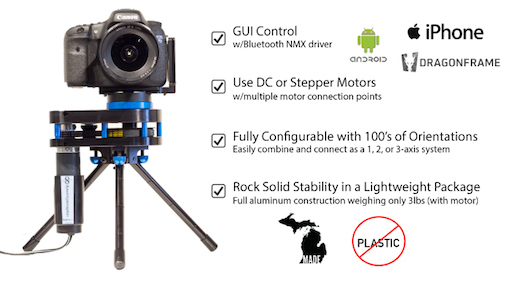 Founded by Jay Burlage (aka milapse) a pioneer in the time-lapse still to video crossover revolution, our first handheld controller the MX2 opened time-lapse motion control to a whole new world of hobbyists and professionals alike. Our most recent innovation, the MX3 controller furthers that momentum with 3-axis control and advanced motion capabilities. Now we’re excited to partner with you on the next phase of evolution, NMX stepper driven 3-axis control for mobile devices.